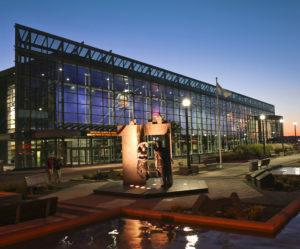 This summer the Québec City Convention Centre is hosting more than 8,000 Canadian, American, and international delegates attending nine national and international conventions. These business tourists will have an estimated economic impact of more than $12 million. The Québec City Convention Centre is certified LEED Canada-CI, LEED-BE Silver, BOMA BESt Level 3, and AIPC Quality Standards gold level. It was named World’s Best Convention Centre by AIPC in 2006 and was a finalist for the same award in 2014.